Few trees offer such an ideal combination of beauty and usefulness as Citrus trees. The foliage on most varieties is a deep glossy green, the overall habit is dense and lush and although the flowers are small, their intense, sweet fragrance fills the air. The fruits add a touch of vibrant color and provide a reliable source of fresh fruit. 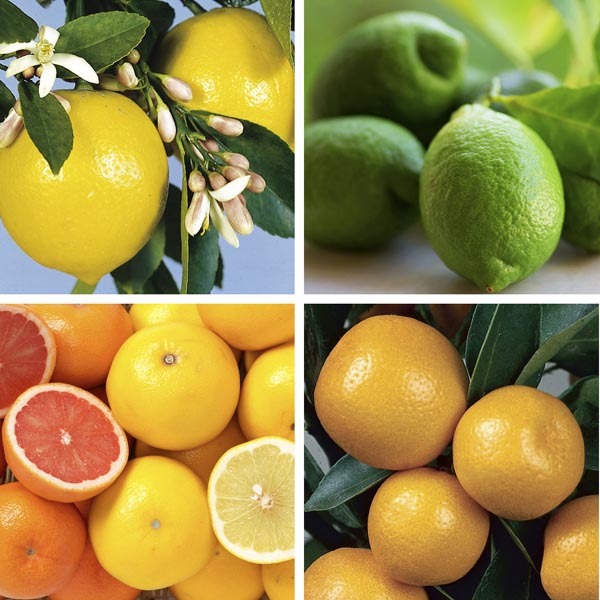 All Citrus fruits are a wonderful source of vitamin C.